If you are enrolled in Medicare, you know that you should have some coverage beyond what Medicare provides. The gaps in Medicare are too great and the potential out-of-pocket costs for hospital stays and outpatient procedures can be difficult on a fixed income. You may be considering AARP supplemental insurance as a way to close the gaps or at least limit your out-of-pocket expenses, but it’s important to recognize that all AARP Medicare plans are not created equal. Quite often people refer to any coverage beyond Medicare as supplemental Medicare insurance. Some AARP Medicare plans meet the definition of supplemental Medicare insurance and some do not. Because there are some big differences between types of plans, you should know what your goals are before you make a choice. AARP Medicare plans come in two varieties. Medigap, commonly referred to as a Medicare supplement policy and a Medicare Advantage plan, also known as Part C. These are two distinct types of Medicare plans that work in very different ways. Technically speaking, only the AARP Medigap policy can be referred to as AARP supplemental insurance. An Advantage plan, like AARP Medicare Complete is not actually a supplemental policy. A supplement by definition adds to something already in place. In the case of Medicare, a supplement fills in the gaps for Medicare covered services that would normally be your responsibility. Medicare supplements are standardized insurance policies that to one degree or another, depending on the particular plan, fill in the gaps. If you have AARP Medicare supplement plan F for instance, the plan will pay your hospital deductible and your 20% of outpatient procedures. Supplemental Medicare insurance does not afford you any additional benefits beyond Medicare such as dental or vision. A Medicare supplement will also not include any drug coverage. You will be required to purchase a separate stand-alone Part D plan. An AARP Medicare supplement will require a monthly premium and will vary depending on the plan chosen and several other factors. Medicare Complete is a widely popular Medicare Advantage plan that is available as an alternative to original Medicare. First, let’s dispel a myth. When you are enrolled in an Advantage plan you are still in Medicare, it has not been replaced. You are merely receiving your Medicare benefits from a private insurance company that is approved by and contracted with the Centers for Medicare and Medicaid Services (CMS) to administer your Medicare benefits. Even though an Advantage plan, like AARP Medicare Complete, is not actually supplemental Medicare insurance, it affords members a lot of benefits beyond original Medicare. Plans often have no monthly premium. Cost sharing is fixed in the form of co-pays, coinsurance and deductibles. Part D drug coverage is often included. Advantage plans do come with some limitations. Often they require that you receive services from a network of providers. Many plans are considered to be a Medicare HMO or PPO . Plans are also annual plans and can change from year to year and in some cases can actually not renew for the following year. You have an Annual Enrollment Period to compare Medicare Advantage plans and choose the best plan for your circumstances. When you are shopping for AARP supplemental insurance keep this information in mind in order to find a plan that meets your budget and needs. Robert, I’m glad you found it to be helpful. A lot of people don’t know the difference between a Medicare supplement and a Medicare Advantage plan. I recommend that visitors sign up for the free mini-course. I have now been on the phone w/AARP representatives for over an hour. I have listened to canned speeches although I have only two questions…can I continue my coverage/Plan J and what the premium will be for the coming year. The people with the canned speeches would not let me interupt them as they said they had to tell me what was available. I have now spoken to 3 people….one told me that Plan F is the same as J which I know is not true as it does not cover home health care; one did not have information on any of them plans could only mail out info, and the third was a representative that was not licensed in FL. I just hung up from the rep for FL and had my questions answered and was also told the info was mailed this past weekend. My question now, other than a complaint of spending over an hour on the phone with your reps or holding which was the bulk of time, is why did you wait until the middle of November to diseminate this information when most health plans have been out for over one month? Marilyn, I’m sorry it has taken me a couple hours to reply as I needed to research the facts. First, let me address your complaint. I’m sorry you had the experience on the phone that you did with the United health Care (AARP) reps. That said, this site is not owned or operated by AARP or any insurance company offering Medicare plans. Also, I’m not sure what disseminated information you are referring to. Medicare Advantage plan information is released in October. Medicare supplement plans are standardized plans and do not change on an annual basis. I understand the confusion! Now, let’s address your questions. Yes you can keep Plan J. You are grandfathered in. Plan J was eliminated with the release of the 2010 Modernized Medicare Supplement plans because it was seen as redundant. As far as Plan F and J being the same…. both you and the representative are correct. A change in original Medicare allows for a Home Health Care benefit. The Medicare now includes medically necessary intermittent skilled nursing care, home health aide services, and rehabilitation services. Plan F is Medigap coverage, and when looking at the new home health care benefit afforded by original Medicare, you can see why Plan F does not need to include coverage as it would duplicate Medicare. Sources inform me that information released in October indicates that Plan J in Florida will receive a 2.6% increase in January 2011. Insurance regulations do not require that you should have received this any sooner than is being provided as outlined by the representative. Marilyn, I hope I have addressed your questions to your satisfaction. My husband and I have had Plan J for the last two years. My question is should we switch to Plan F and if not what does Plan J cover for home care over and above what is covered by Medicare. I believe that is the only difference in the two plans. In my area my husband and I combined will be paying $63.24 more for Plan J than Plan F and AARP representatives can’t answer my question. Since Plan J is no longer available we don’t like to change to Plan F without knowing exactly what Plan J would do for us. Shirley, Medicare now includes a home health care benefit so Plan J and Plan F offer the same benefits. Home health care is not included in Plan F because it is a base benefit of Medicare and does not require any “filling of the gap”. The concern with Plan J which is no longer offered is that each year the amount of people on that plan will decrease. As the risk pool for Plan J decreases there could be some greater than normal adjustments in the monthly premium. If you choose to switch from AARP Medigap Plan J to AARP Medigap Plan F you will more than likely need to go through an underwriting process. You should speak with a local agent to get their honest assessment as to whether you will have any difficulty passing the underwriting process for AARP Plan F.
Over the last two 1/2 months, I’ve made four phone calls and received letters and coupon books from your company. With every interaction I get quoted a different amount of what we should pay. Even the coupon book $$ jumps around on rates like a ping-pong ball. I’ve been told to ingore it, and then been told what I was told isn’t enough. How can I KNOW what i’ve been paying is credited and there are no more surprises? I’ve been sent a billing summary, but it has no information on what the payments were, as well as I am told now that is was not correct. I am frustrated beyond words. Pollu, This site is neither owned or operated by AARP Medicare plans. I’m sorry for your frustration, but this is a blog where I comment on many plans and news items related to Medicare (see categories in side bar), and am unable to help you with your problems. Here is the web address for AARP Medicare Plans. Good luck. There is not an advantage plan here where I relocated, where is the next best place to go? I am from San Diego, CA relocated to Sequim, WA.. Is there one in Bremerton or Silverdale, WA? Joyce, The best way to find information about available Medicare Advantage Plans is to visit http://www.medicare.gov. You can search for available plans by entering your zip code. Choose Health and drug plans and enter the requested information. If you are just getting basic information you can saved time by skipping the request to enter your medications and pharmacy choices. I will be leaving UHC group plan 46000 (Railroad workers) in Feb for medicare. I am looking at plan F with UHC at $180 per month or AARP/UHC at $135. I have asked reps from both about the differance in rates if both are Plan F administerd by UHC. There has to be a reason for the rate difference do you know why? Mike, Who knows what lurks in the collective mind of an insurance company? If they are both Medigap Plan F you don’t seem to have a difficult choice. I currently have BC/BS Plan F supplemental insurance. Please explain the differences between AARP Plan F and Empire BC/BS Plan F. I pay almost $300/month for BC/BS coverage. Supposing I don’t mind a $20/visit copay for MDs. Is Plan N or R the same as Plan F but with lesser premiums? William, Medicare supplement plans are standardized which means that there will be no difference in how Plan F from either Blue Cross Blue Shield or AARP United Healthcare fills the gaps. Companies can offer additional perks such as a vision discount etc.. Plan N and Plan F are similar, but with Plan N you will need to pay the Part B deductible (currently $140) and will not have coverage for excess charges. There is no Plan R.
My husband and I have been approached and could be leaving AARP after 12 years for 2013 Health Net Violet Option 2 (PPO) Jan. 1st. I have yet to call AARP to see if they have any plan that offers the option of zero monthly costs with us paying coopayments at visits. I don’t want to make a mistake but this new plans looks pretty good to us. Comments? Saundra, United Healthcare offers the AARP MedicareComplete Advantage plan and it often has a $0 monthly premium. You can visit medicare.gov and compare plans online easily. La Rita, A supplement does not include Part D drug coverage. So in this case, the rep was correct. It sounds as though your husband’s Part D plan requires a deductible. This is a completely different charge, unrelated to his Plan F supplement. I am at wits end dealing with UHC and their reps. Last year, we were covered on UHC plan F with perscription. In December we changed to UHC POP with a corresponding reduction in premium. UHC continues to deduct last years premium from my checking account as well as the new premium for the new coverage. It is against the law to carry two policies for thew same coverage. It is also illegal to withdraw payments for coverage not given. As of right now, UHC is into me for about 1000 dollars and counting. UHC tells me they cannot refund my overpayments unless I provide proof of insurance (welcome letter and/or Ins Card with effective date on it). The card DOES NOT HAVE an EFFECTIVE DATE. Until I send them copies of these documents, I will not be made whole. UHC has all the information they need but are stonewalling me on the refund. As of now I have spent over four hours with reps who have no clue how to solve the problem or are curt and refuse to address the problem. It appears next atep is an attorney. Jim, I would file a complaint with Medicare. The procedure to do so is outlined in the Medicare publication, “Medicare & You”. You can also contact your local Area Council on Aging. They will often be able to cut through the red tape and give you guidance. 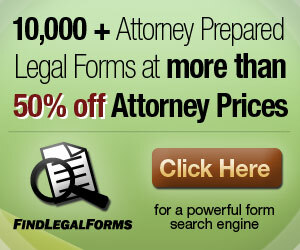 Although I would have no qualms hiring an attorney if I was in your situation, I would try the above options first. I do not have any answers…but I do have questions. My husband & I are 77/79 and are on Medicare and Blue Cross, Blue Shield, Plan 65. BCBS is getting very expensive. How does AARP’S supplemental plan work? Any less expensive than BCBS? Barbara, Medicare supplement plans are standardized, so benefits from the same plan offered by different companies will be the same. Rates vary widely between companies and it’s quite possible that you could save some money. 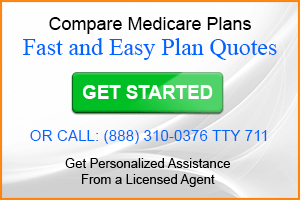 Check with PlanPrescriber by calling (888) 310-0376, they can give you a quote on all available plans in your area.